With the tax season in full swing, the executive team at Kars4Kids has compiled a helpful list of some of the most common tax mistakes people make. Triple check your tax return is signed. Unsigned returns are considered by the IRS as if they were never submitted, and the IRS may not notify you for a month or more. With the tax season in full swing, preparing your tax documents too fast is a dangerous proposition often resulting in costly oversights and errors. As an organization familiar with supplying tax deductible receipts to car donors around the nation, the executive team at the Kars4Kids car donation charity has compiled a helpful list of some of the most common tax mistakes people make. 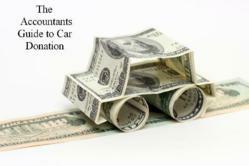 If you donated a car in 2012 to a reputable car donation charity, don’t forget to claim your donation deductions. Donors can visit the Kars4Kids Accountants Guide to Car Donation for easy step-by-step instructions on filling out your forms. While filling out the appropriate car donations forms, Earth911 also reminds new drivers who purchased environmentally friendly vehicles to maximize on being a good friend to the planet. Those who purchased an electric vehicle or plug-in-hybrid might be eligible for deductions. From vehicle purchases and donation to home improvements, Houselogic reminds home owners to read forms carefully. Some of the tax forms can be very complex to fill out, after you’ve come this far you don’t want to lose out on this credit because of a simple filing error. Don’t forget about home improvements on your tax forms. Additions like new windows, doors, roofs, and many other improvements may be eligible for credits. According to Earth911, tons of people forget to fill out the appropriate deductions. New home owners should also be aware of possible deductions, reminds Houselogic. Homes purchased with a down payment of less than 20% often require the purchase of private mortgage insurance. If your adjusted gross income is less than $109,000, you may be able to deduct those payments, which can easily add up. When it comes to personal deductions, individuals living in certain states like Oregon automatically are eligible to claim tax credits for contributions made to political parties. Check your state website to see if credit is available to you. The Department of Education also provides assistance of federal student loans using the 1098-E form. Be sure to visit ed.gov for more information. There are a few even simpler tips to keep in mind too. Before sending off your return, triple check your tax return is signed. According to the same tax guide, unsigned returns are considered by the IRS as if they were never submitted, and the IRS may not notify you for a month or more. By then the penalties and interest may already be adding up. According to Investopedia’s Personal Income Tax Guide, thousands of people forget to the stamp when mailing out the return. Be sure to provide sufficient postage or you face a small penalty for a late return. And if you can’t be bothered to deal with postage—file online for free. Two of the more popular tools are Turbo Tax, and H&R Block. For more information on Kars4Kids and their tax deductible car donation process, visit them at the Kars For Kids blog or on Twitter @Kars4Kids.